Manufactured by laboratories Lacer, Pilexil is the ideal treatment for hair care and acts against the factors involved in hair loss. Made with active ingredients to nourish and repair hair. Pilexil is the most comprehensive treatment Shampoo, capsules, Lotion, blisters acting against all factors involved in hair loss. 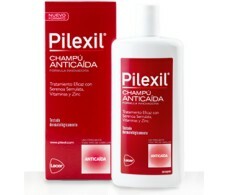 PILEXIL shampoo - indicated for the hygiene of the hair with a tendency to fall over how both men women. Capsules fall arrest Pilexil - Recommended for men and women, in all those periods when there is hair loss, as nutrient Extract, Serenoa serrulata + Zinc + + Vitamins Tocopherol nicotinate. International Pharmacy recommends in addition to a rich and balanced diet. It comes with a leaflet with all the tips for use. 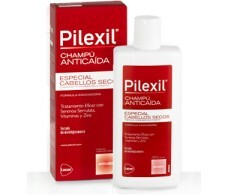 PILEXIL blisters - Recommended as one-month intensive treatment for the scalp with a light massage. Spray Pilexil fall arrest - Serenoa serrulata extract Tocopherol nicotinate + Zinc + + Vitamins to complete treatment. For a composition of the formula, use, operation click on one of the products listed in our online pharmacy. If you are pregnant we recommend consulting your doctor before taking Pilexil capsules or regular use of Pilexil treatments.